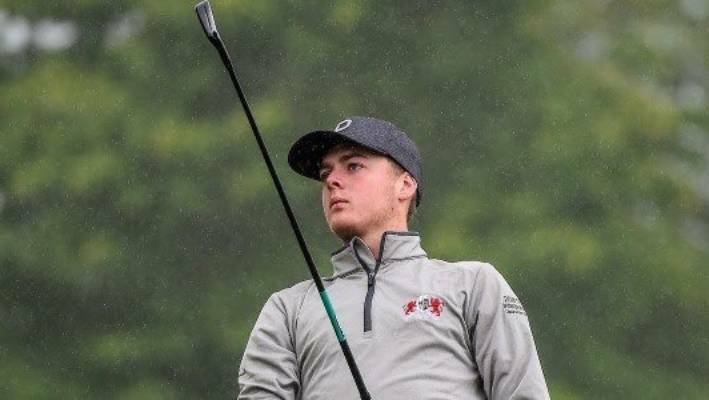 Most of Manawatu Wanganui's best junior golfers are currently competing in the North Island U19 Championships in Hamilton this week. Wanganui's Tara Raj and Zhouyi Hu are both sitting in the top 10 after 2 rounds, with Tara in 8th spot at 1 under par and Zhouyi in 9th at even par. Christchurch member, Jeong Hyun Lee leads the girls field by 5 shots at 11 under par, with one more round to play. In the Boy's event, Manawatu's Tyler Wood was sitting in 3rd place after his second round, although some players are still to finish round 2. Tyler is at 2 under par, 3 shots behind Canterbury's Kazuma Kabori. Other locals competing include Anthony Ilton-Maher, Kaleb Idemaru, Remy Early, Ryan Rooney, Ethan Dodds, Ethan Ward and Cameron Giddens. We have heard that Feilding's Ethan Ward scored a hole in one, during his first round yesterday at the 3rd hole at Hamilton Golf Club. Below: Manawatu member Tyler Wood is positioned to Challenge for the Boys Nth Island U19 title tomorrow.